Successfully Added IQI I3 Android Smartwatch - Quad-Core CPU, 4GB Memory, 1.39-Inch Display, 3G, Pedometer, Heart Rate Sensor, Google Play (Silver) to your Shopping Cart. 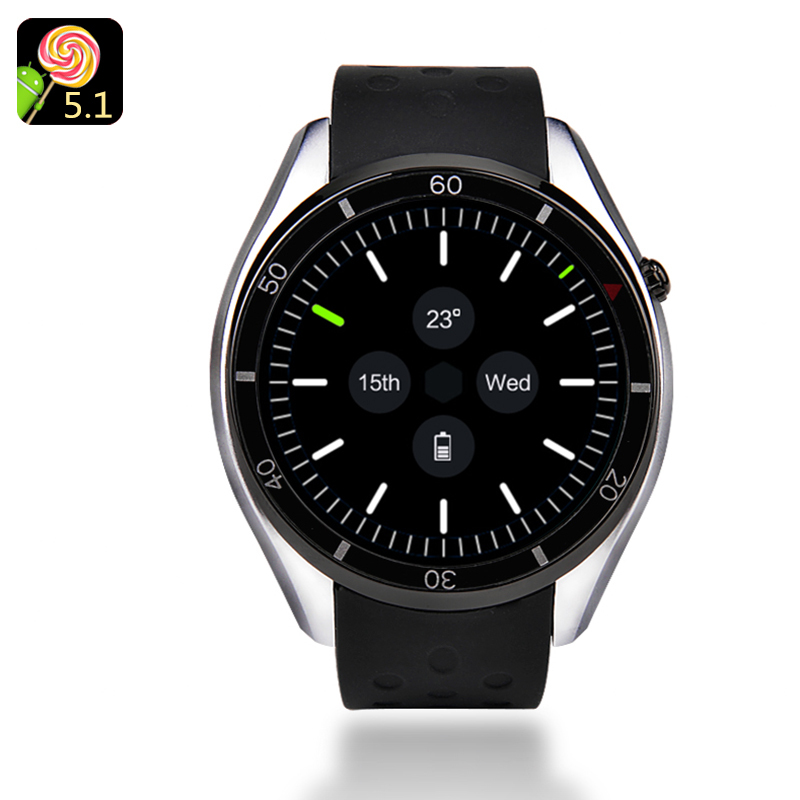 The IQI I3 Smartwatch is a remarkable little electronic gadget that allows you to enjoy all features a regular Android phone has to offer right from your wrist. No longer will there be the need to carry along an oversized smartphone in your pocket as, with this watch phone at your wrist, you’ll be able to engage in phone calls, send out messages, update your social media accounts, and a whole lot more. With a stylish design and beautiful 1.39-Inch AMOLED display, this phone watch can be confidently worn on any occasion. Running on an Android 5.1 operating system, this smart watch allows you to enjoy the same features that any modern smartphone has to offer. Simply slip in your SIM card and you’ll be ready to make phone calls and send messages right from your wrist. With its Quad-Core CPU that has been clocked at 1.3GHz, this watch phone allows you not only to enjoy your basic smartphone feature but also to engage in mobile games and applications. With 4GB of internal memory, you can be assured that there will be enough space for you to save all your songs, games, media, and applications alike. With its compatible mobile application, this phone watch can be easily synchronized with your smartphone. Sync your phone book and music library to enjoy all your phone’s contacts and media directly from your wrist and even answer phone calls or reply to messages on your phone through your watch. With the IQI I3 smartwatch on your wrist, the possibilities will be limitless. Additionally, this watch phone also allows you to remotely control your phone’s camera, letting you snap the perfect pictures of you and your friends from afar. Not only does this phone watch allow you to enjoy the regular smartphone features, it also comes packed with an abundance of health features that supports you in working towards a healthier future. This sports watch holds its own integrated heart rate monitor and pedometer to keep accurate track of your upcoming workouts and health conditions. From now on you’ll be able to take the most out of all your sports sessions as, with this smart watch you’ll be carrying along a personal trainer at your wrist at any time. With a 350mAh battery, you can be assured that this sport watch will get you through the most demanding of workouts while, simultaneously letting you enjoy your smartphone’s music library, without needing to worry about battery life.